Most of the printed material globally is printed via offset printing, making it the most common form of printing. Over the course of the last 50 years, this technology has been constantly advancing and there have been significant improvements in the methods of the offset printing jobs. This is reflected primarily through the improved color, paper quality, the plates, the speed of printing and sustainability. Due to these advancements, offset printing has taken a leading position in the business. The demand for offset printing is due to its efficiency without compromising the high quality and durability of the product. It is known to be one of the most affordable ways of printing yet with the best quality, as it prints produce with finer lines and richer colors in comparison to digital print. Furthermore, there is a range of finishes including high-gloss, satin, and matte. In the printing business, there are quite a few production and press choices. Offset printing is one of the oldest publishing methods that are in use in the present printing enterprise. It allows you to create huge quantities of printed materials at inexpensive prices. A great choice for small and large runs. Despite the affordable price, it produces very high-quality images. Offset printing is the dominant industrial printing technique, used for printing a wide assortment of products like business cards, catalogs, leaflets, brochures, magazines, and publications. It may also be used for packagings, such as boxes, product packaging or carton. 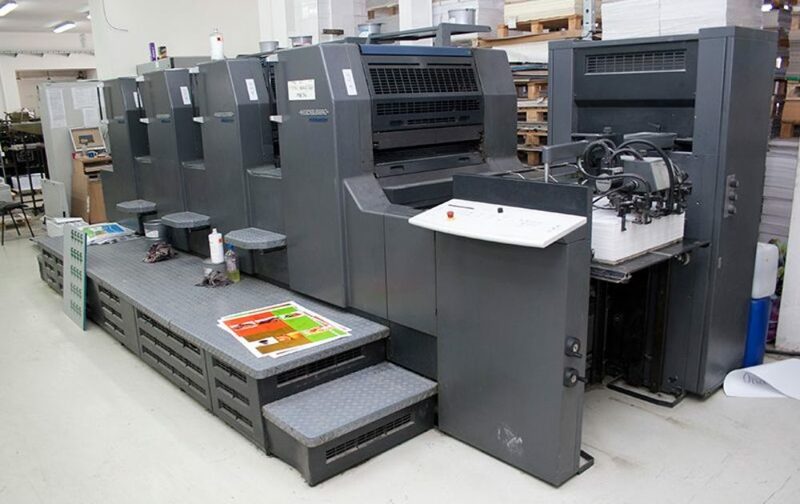 Because of its ability to make commercial amounts of prints with the premium quality outcome and inexpensive manufacturing cost, offset printing is a great option for large quantities of printing projects. How offset printing works - offset lithography? Offset printing functions in a very simple manner. It utilizes three cylinders to move the image on the substrate. The first cylinder is mounted using the printing plate and after that, it is inked and the image transferred or offset onto the next cylinder, which can be mounted using a rubber blanket. The picture on the next cylinder is reversing or becomes 'incorrect' or mirrored reading. Finally, the image is moving from the blanket cylinder to the next cylinder or the substrate. The substrate is mounted on the next cylinder also called the impression cylinder. The picture is once more reversed and becomes 'right' reading or right side up from the final published version. The entire name of this printing procedure is offset lithography. Both terms each describe part of the process: Lithography is a printing process in which the image area and the non-image area co-exist on precisely the exact same plane. That means the surface from which you print is completely horizontal. This is feasible because of a very useful chemical rule: offset printing ink is an oily substance, which means it repels water. If you can produce a surface on which some parts have a thin layer of water, then those regions will repel ink. The picture areas needs be lipophilic (accepting ink) while the non-printing regions will need to be hydrophilic (they are repellent to oil and receptive to water). 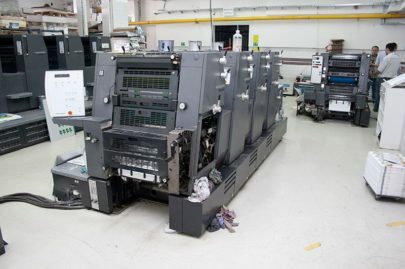 The offset printing process requires a fairly investment in equipment and set up, however, once the infrastructure is in place, offset printing itself is comparatively inexpensive. It is mostly used in producing personal, commercial and small business products. Perfect for small jobs that must be done quickly. 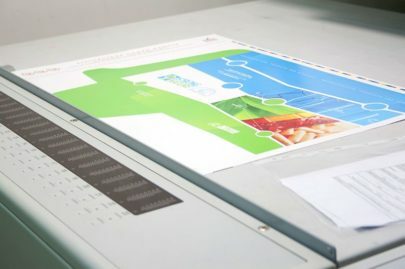 It is the oldest printing technique that printing companies have adopted, yet all printing companies offer offset printing today as an option. In comparison to other printing procedures, offset printing is most appropriate for economically producing massive volumes of top quality prints in a fashion that requires very little maintenance. Offset printing also permits for more material alternatives. It uses an additional step but it gives the producers a lot of flexibility in terms of color options. This kind of printing has become the most inexpensive printing method to create high-quality prints in commercial printing quantities. The main benefit of offset printing is high and consistent picture quality. The least expensive method to make superior printing in commercial quantities. Offset presses can print so quickly your and cost per piece isn't static - for more volume, you get smaller prices. 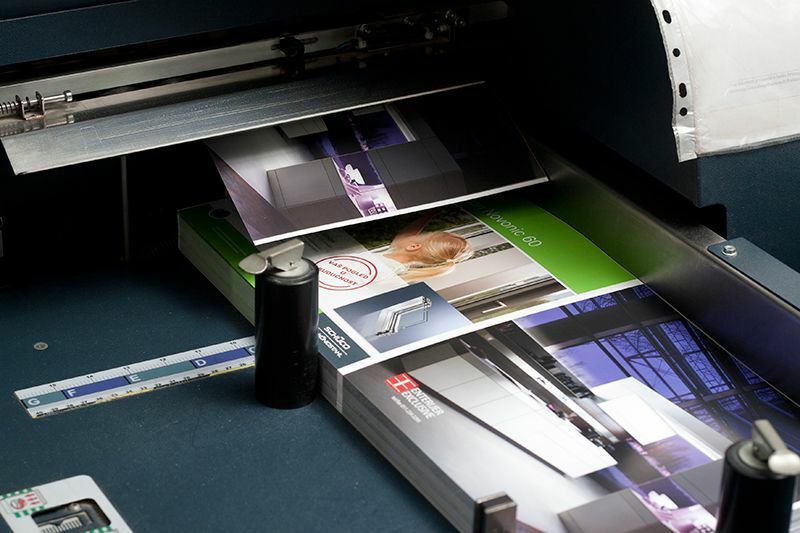 For large runs offset printing becomes a lot more economical than digital printing. Larger Runs; a printing volume of over 1000 units is typically ideal for offset printing. Larger Format - a 40″ press can accommodate a level page dimensions of approx. 25″ x 38″. Specialized Colors & Techniques; offset presses can print PMS colors and use gloss/matt varnishes for extra texture - multiple media "heads" allow for an unlimited variety of colors and printing methods. We are mostly using Heilderberg machines for offset printing. JPC Printing Center with 20 years of experience offers you high quality and affordable offset printing services in Chicago, Illinois.